This is a second floor room, that was used as a storage closet by the previous owners. 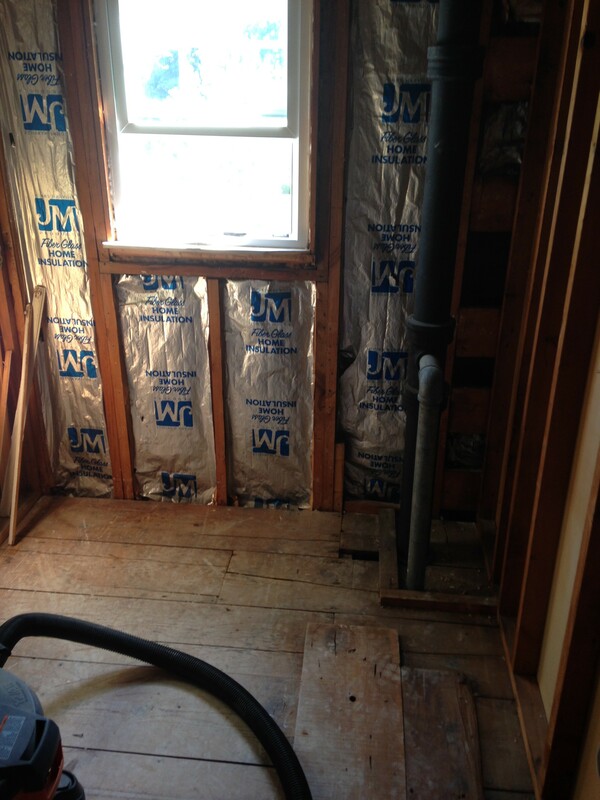 The home has one full bathroom on the first floor and the new owners wanted to add another full bathroom on the second floor. When the room was down to the studs, we took all the room measurements and designed a render to show the homeowners. This helps them visualize what the bathroom will look like when the remodel is complete. 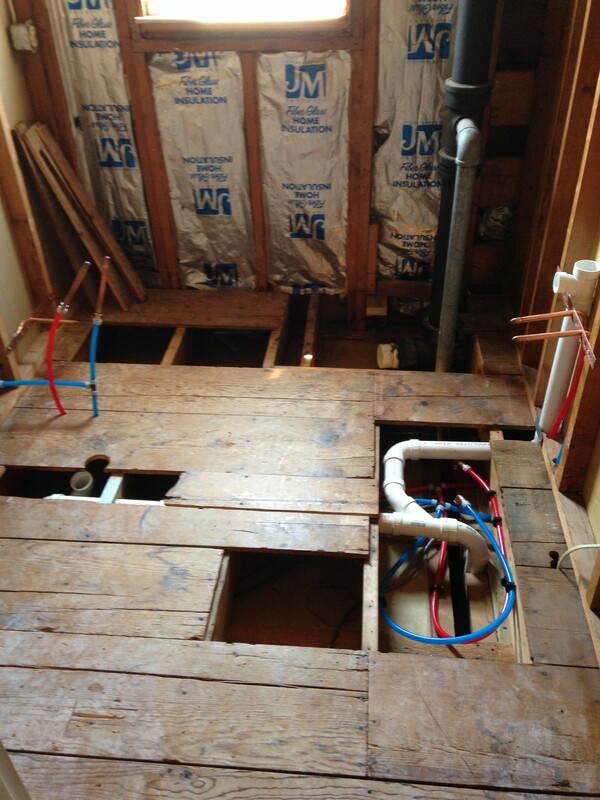 Once the design phase is complete, the next step was to rough in all the new water lines and drain piping required for the new bathroom. 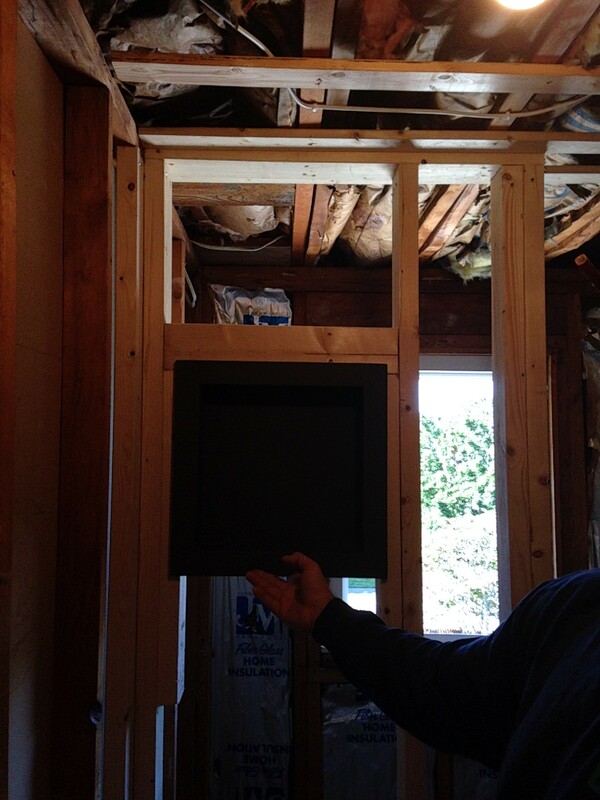 After all the rough plumbing is installed, the carpenter comes in to build a wall to frame in the shower & niche. Shower niches come in all different sizes to allow for shampoo and soap storage. Now that the bathroom is starting to take shape, it is time to install the shower base, sheetrock and cement board, before finally plastering and tiling the walls. The shower is going to have a shower head and handheld. Handhelds are becoming increasingly popular with new homeowners because it helps them when cleaning the shower area. The cast iron shower base shown here is a Kohler 30 inches wide by 5 feet long. 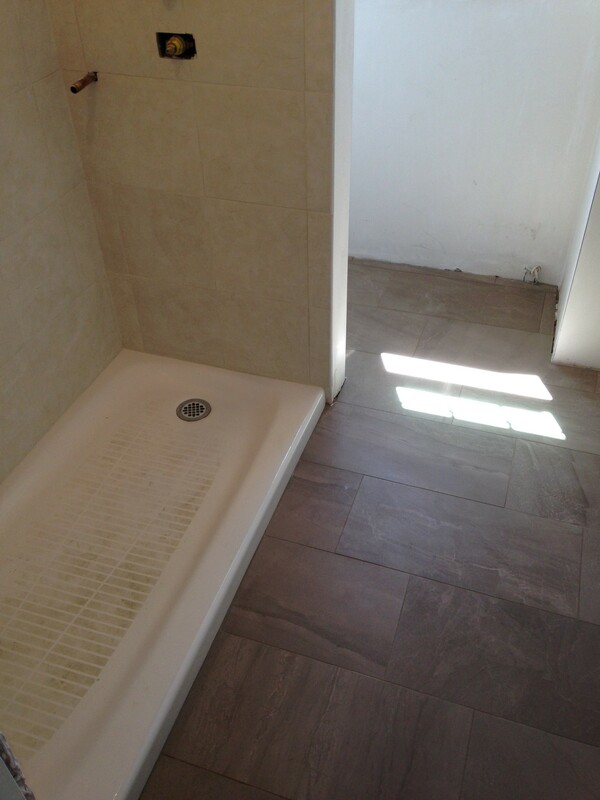 The tiles in the shower area are 12″ x 12″, while the floor tiles used were 12″ x 24″. We had to box in the existing pipes in the wall, which allowed us to get creative and build a shelf to add some more useful space. 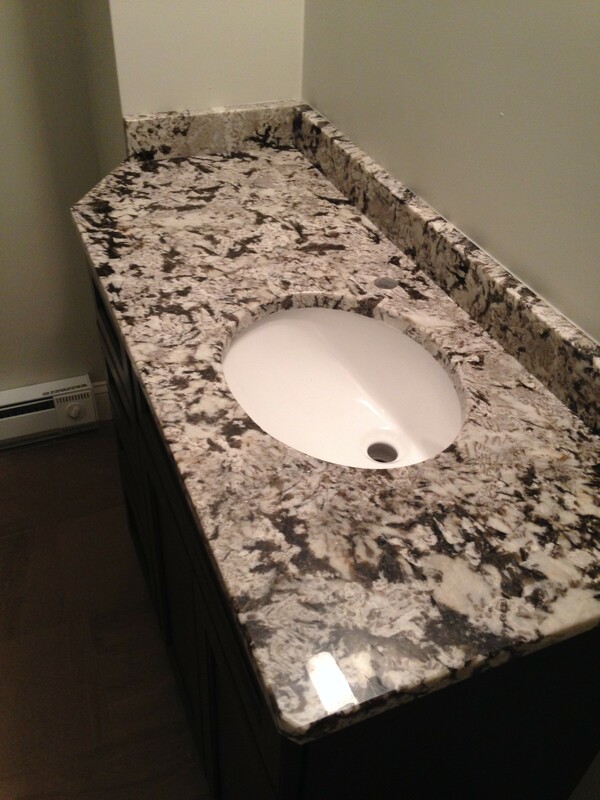 We decided to extend the template of the granite longer than the vanity on the left side over the shelf to give the homeowner another foot of counter space. 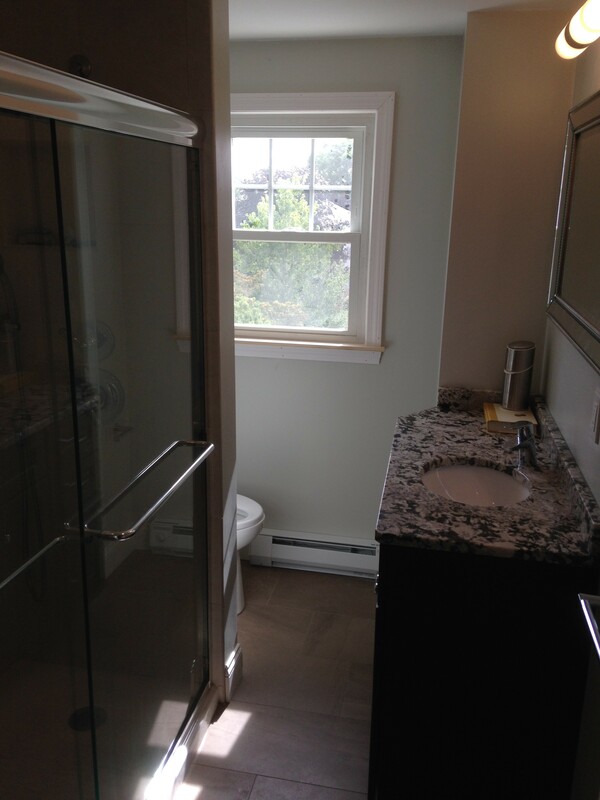 The granite used for this bathroom was Arctic White. 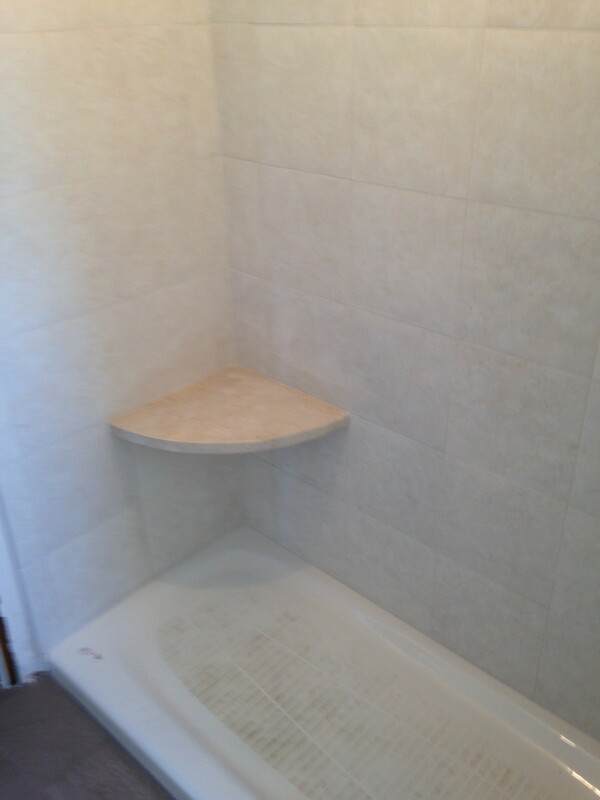 The photo below is the finished product of the bathroom. Some of the products seen in the photo are: Fleurco shower door, Toto Entrada Toilet, Omega 36″ x 18″ vanity base, Grohe Single Lever Faucet. Due to the previous room not being heated we also had to include a three-foot piece of electric baseboard. Please feel free to contact us with any questions on an upcoming home remodel.